Fenty Beauty is currently touring the UK as part of the Harvey Nichols pop-up store and I was excited to see they had a location near to me. There aren’t any stockists where I live and I also haven’t tried the brand before, so it was really fun to be able to finally see the products in person. 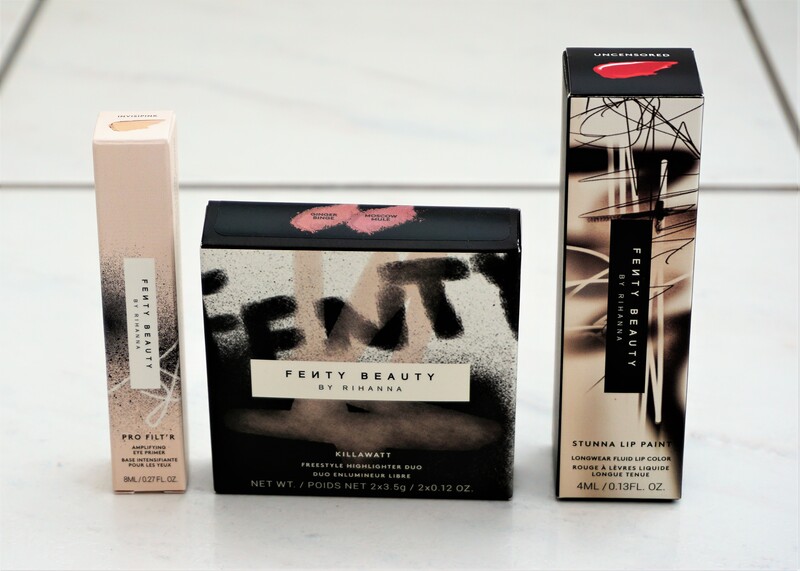 As part of the pop-up, Fenty Beauty were giving away a free make-up bag with a mini lipstick sample, as well as a foundation sample, with any two purchases. I ended up choosing three products and also got the make-up bag with the samples to try. I want to try them all out for a while before putting a more detailed post up but for now, I thought it would be fun to showcase what I picked up! You can read more about the Fenty Beauty pop-up stores and find out the locations here.